I'll say! Not that you need another incentive to vote besides the opportunity to stand up for what you believe in, but a free doughnut doesn't hurt. The offer will be available the entire day, and what's more, no coupon codes are required. And get this: You can literally choose any doughnut that you want — that includes doughnuts with fillings, cake doughnuts, you name it, according to Sarah Roof, communications coordinator at Krispy Kreme, in an email to Bustle. Krispy Kreme is known for giving out free doughnuts, having hosted similar events in the past for holidays like Halloween, International Talk Like A Pirate Day, and, of course, National Donut Day. The only downside is that not all Krispy Kreme stores will be participating. Before you start planning any Election Day morning trips to your local Krispy Kreme store, double check the full list of locations that aren't joining in on the fun (including stores in Arizona, Idaho, and Connecticut). Figure out exactly what your local polling place is and create a plan for voting on Tuesday. Some states have laws requiring employers to give their employees time off to vote. If your employer does that, great! If not, you might have to use your lunch break to vote or leave earlier in the morning. Once you're at the right polling place, the actual voting process takes only a few minutes. You did it! Kudos to you for being a dutiful citizen. Wear that sticker proudly! The fun part is here! It's time to choose which free doughnut you want (remember, you only get one). 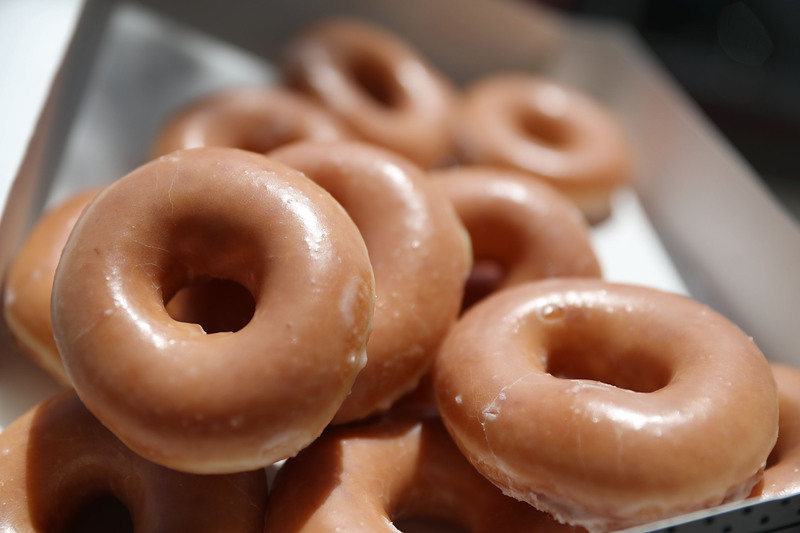 Check out Krispy Kreme's menu for a full list of options. Hmm...decisions, decisions. So you decided on that pumpkin spice cake doughnut? Good choice. That's it! Yep, I told you it was that simple!